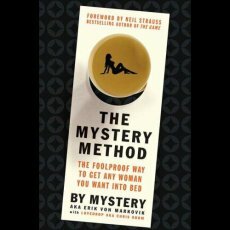 Review for The Mystery Method: How to Get Beautiful Women Into Bed, Great overview, but that's it. "Great overview, but that's it. " Amazing insights, but long in the wrong way. Mystery comes across as a genius, but has a unusual study of teaching if you can call it that. This material is so foreign to me. He goes so long into the routines; it makes it hard to keep up with the M3 model. No break downs of the steps in a chart or table. This guy knows his stuff like Ross Jefferies, maybe I'm just not bright enough to get what's in their heads into mine. I'm working on it. Does anyone know of a pua guide for dummies?